Strengthen collagen and immune system. Chemotherapy and radiation may come with unwanted side effects such as: a higher risk of infections due to bone marrow toxicity; toxicity to the digestive tract, liver and kidneys. However, IV vitamin C – also known as IV ascorbic acid – reduces these discomforts and improves the quality of life. Why should vitamin C be used as an adjunctive cancer care support? From slowing down cancer growth to improving immunity, high-dose vitamin C is frequently favored by and prescribed to cancer patients. However, large doses of vitamin C in the plasma and urine with antitumor activity can only be obtained intravenously, leading to greater serum levels (70 folds higher) when compared to oral supplements. At these high doses IV vitamin C, works as an oxidant (not an antioxidant) inside the cancer cells, which slows down the growth of tumors. Vitamin C depletes ATP inside cancerous cells. (ATP is the main source of energy for most cellular processes in our body.) Meanwhile, normal cells sustain their ATP levels. This phenomenon is due to the dysregulation of glucose metabolism within cancerous cells and known as the Warburg Effect (as cancer cells depend on a larger proportion on glycolysis for the production of ATP). In an article published in Anti-cancer Drugs, IV ascorbate acid was found to deplete ATP in prostate cancer cells, leading to autophagy (or cell destruction). IV vitamin C also builds hydrogen peroxide within the cells; free radicals are then drawn from the hydrogen peroxide and attack the DNA of cancer cells. Scientists also believe that these free radicals make cancerous cells more susceptible to radiation and chemotherapy, causing the radiation and chemotherapy to be more effective. Additionally, IV vitamin C slows down the progression of cancer. According to researchers, when tumors grow, the body activates HIF-1 (hypoxia inducing factor), a transcription factor; this leads to angiogenesis, glycolysis and a higher resistance to radiotherapy and chemotherapy. HIF-1 is downregulated by oxygen-sensing enzymes that require vitamin C as a cofactor. But when IV vitamin C is administered, study results have suggested that the vitamin “could slow down tumor growth by moderating HIF-1 activation,” reported Margreet C.M. Vissers, PhD at last year’s Linus Pauling Institute’s 9th International Conference on Diet and Optimum Health. How does IV vitamin C impact your quality of life? Overall, patients have noticed an improved mood and better appetite when they are administered IV vitamin C drips. IV vitamin C also boosts the production of endorphins, which leads to reduced pain (and lowering your use of painkillers). Intravenous vitamin C also helps increase energy since it is involved in the biosynthesis of carnitine, which is needed to transport fatty acids into mitochondria during the breakdown of lipids; in turn, this generates metabolic energy. Which complications does Vitamin C IV reduce? 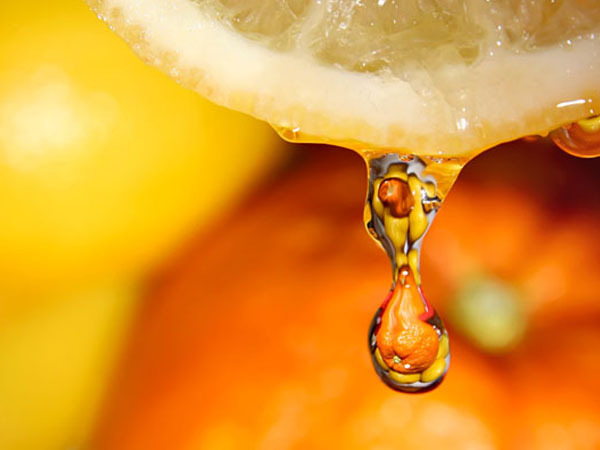 The vitamin C drip reduces cancer-related inflammation. Helps prevent cancer-related sepsis, which when diagnosed, could dangerously lead to organ failure or septic shock. How long is the adjunctive cancer care support administered for? Current studies suggest that an infusion rate of 500mg/minute is desirable to achieve the therapeutic goal of reaching a peak concentration in plasma. Doses up to 1.5g/kg per body weight three times weekly have been found to be safe and capable of achieving plasma ascorbic concentrations of up to 20mM. This dosage is necessary for IV vitamin C to act as a pro-oxidant that generates hydrogen peroxide, which becomes lethal to cancerous cells. However, it is advisable to start treatment with a lower dose, and, if no adverse events are observed, to gradually increase doses to their final level. Are there any adverse effects and side effects to using intravenous vitamin C? IV vitamin C has very mild side effects, which may include: perspiration, fatigue, dry mouth, nausea, feeling dizzy. These may arise due to the high level of solute concentration, but the side effects may be canceled out by drinking water prior to and during the IV therapy session. Are there any cautions and contraindications when using IV vitamin C? Careful consideration should take place for patients with hemochromatosis. Also, IV vitamin C may not be suitable for dehydrated patients and those with anuria, low cardiac output, edema/pulmonary congestion. Because studies have not taken place on pregnant and breastfeeding women, plus children, caution should take place when using IV vitamin drips on these groups. Berdiel, Miguel J. MD, Duconge, Jorge PhD, Gonzalez, Michael J. NMD, DSc, PhD, FANMA, FACN, Miranda-Massari, Jorge R PharmD. (2017). Increasing the Effectiveness of Intravenous Vitamin C as an Anticancer Agent. Journal of Orthomolecular Medicine, Volume 32, Number 1, 2017. Carr AC, Vissers MCM, Cook JS. The Effect of Intravenous Vitamin C on Cancer- and Chemotherapy-Related Fatigue and Quality of Life. Frontiers in Oncology. 2014;4:283. doi:10.3389/fonc.2014.00283. Carr, A.C.; McCall, C. The role of vitamin C in the treatment of pain: New insights. J. Transl. Med. 2017, 15, 77. Carr AC. Symposium on Vitamin C, 15th September 2017; Part of the Linus Pauling Institute’s 9th International Conference on Diet and Optimum Health. Antioxidants. 2017;6(4):94. doi:10.3390/antiox6040094. Chen, Ping & Yu, Jun & Chalmers, Brain & Drisko, Jeanne & Yang, Jun & Li, Benyi & Chen, Qi. (2011). Pharmacological Ascorbate Induces Cytotoxicity in Prostate Cancer Cells through ATP Depletion and Induction of Autophagy. Anti-cancer drugs. 23. 437-44. 10.1097/CAD.0b013e32834fd01f. Duconge, Jorge & Miranda-Massari, Jorge & Gonzalez, Michael & A Jackson, James & Warnock, William & Riordan, Neil. (2008). Pharmacokinetics of vitamin C: Insights into the oral and intravenous administration of ascorbate. Puerto Rico health sciences journal. 27. 7-19. Gonzalez, Michael J., Miranda-Massari, Jorge R. New Insights on Vitamin C and Cancer. From series SpringerBriefs in Cancer Research. Published by Springer-Verlag New York, 2014. “High-dose vitamin C makes cancer treatment more effective, trial shows” by Ana Sandoiu. Medical News Today, published March 31, 2017. Accessed June 14, 2018. Polireddy, Kishore & Dong, Ruochen & Reed, Greg & Yu, Jun & Chen, Ping & Williamson, Stephen & Violet, Pierre-Christian & Pessetto, Ziyan & Godwin, Andrew & Fan, Fang & Levine, Mark & Drisko, Jeanne & Chen, Qi. (2017). High Dose Parenteral Ascorbate Inhibited Pancreatic Cancer Growth and Metastasis: Mechanisms and a Phase I/IIa study. Scientific Reports. 7. 10.1038/s41598-017-17568-8. Padayatty SJ, Sun H, Wang Y, Riordan HD, Hewitt SM, Katz A, et al. Vitamin C pharmacokinetics: implications for oral and intravenous use. Annals of internal medicine. 2004;140(7):533-7. Epub 2004/04/08. The Dr Amauri Wellness Centre has prepared this monograph, as part of a series of monographs being developed to share results of a review of the research evidence related to common therapies and products used within cancer patient care. The monograph is designed to summarize evidence-based research and does not advocate for or against the use of a particular therapy. Every effort is made to ensure the information included in this monograph is accurate at the time it is published. Please note that this monograph does not include an list of all potential adverse events; individuals may experience unique side effects. The information in this monograph should not be interpreted as medical advice nor should it replace the advice of a licensed health care provider. For more information, simply call us now at (647) 699-5380 or fill in the form below to get in touch with our licensed and registered IV vitamin therapy practitioner.